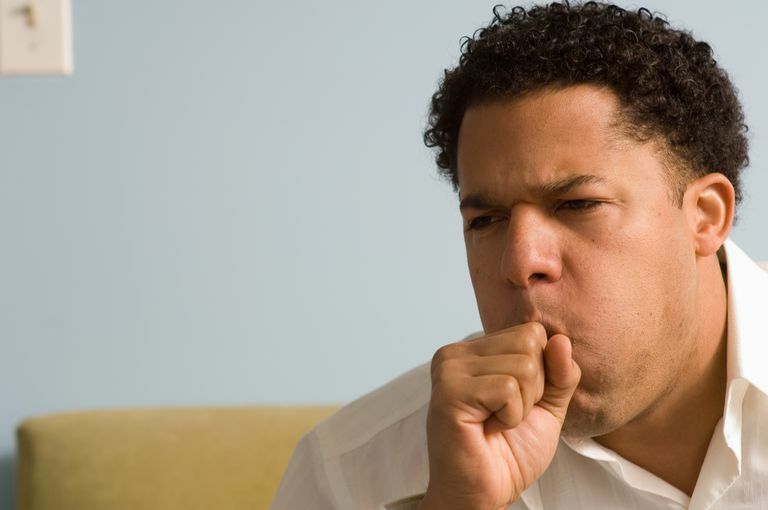 A persistent cough can have many different causes, and it's important to have this symptom evaluated by a doctor. While it's natural to assume a chronic cough is due to a respiratory problem, you might be surprised to learn that studies indicate a persistent cough is often a sign of GERD, a condition caused when the contents of your stomach inappropriately leak into your esophagus. When stomach acid backs up (known as acid reflux) into the esophagus and is breathed in, it can cause coughing. Irritation from the acid reflux in the throat can also cause coughing. Chest pain - This pain usually starts behind the breastbone (the sternum), and may travel up to the throat. It usually occurs shortly after eating and can last from a few minutes to several hours. It is important to remember that sometimes the pain of a heart attack can be confused with the burning pain of GERD, and it is always important to seek medical attention if there is any doubt as to the origin of this chest pain. Hoarseness, especially in the morning - Irritation caused by stomach acid into the throat can lead to hoarseness. Difficulty swallowing - Trouble with swallowing (dysphagia) occurs when food does not pass normally from the mouth through the esophagus to the stomach. There may be a sensation of food sticking in the throat or a feeling of choking. Difficulty swallowing could be a sign of various conditions, including erosive esophagitis and esophageal cancer, and should always be evaluated by a physician. Bad breath - When acid from the stomach comes up into the throat and mouth, acrid-smelling, bad breath may result. There are several ways to significantly reduce the occurrence of acid reflux symptoms, and in most cases prevent the acid reflux before it starts. With less acid reflux episodes, there is less chance of esophageal damage. You should always contact your doctor if your heartburn occurs two or more times a week. While under the care of your physician, he or she may prescribe medications or suggest over-the-counter remedies. There are also alternative homeopathic remedies for easing heartburn. Discuss these with your doctor also. Limiting intake of acid-stimulating foods and beverages. Not laying down for about two hours after you eat. Elevating the head a few inches while you sleep. Not wearing belts or clothes that are tight fitting around the waist.